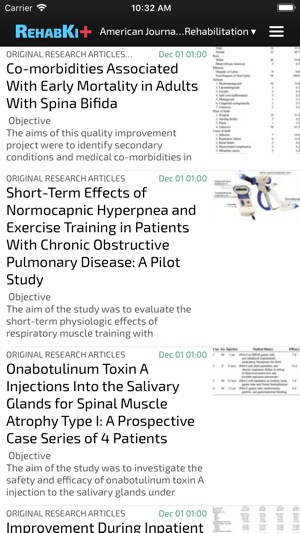 RSS Feed Reader: Keep current on all major rehabilitation journals through our RSS Feed Reader. Our feed automatically updates with the latest journals with the highest impact factor, so that you can stay on the top of your game. 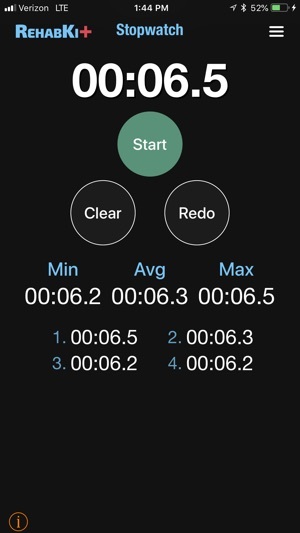 Stopwatch: Keep the minimum, maximum and average of multiple captured values with our Stopwatch. This is great for time measurements such as balance and endurance testing. 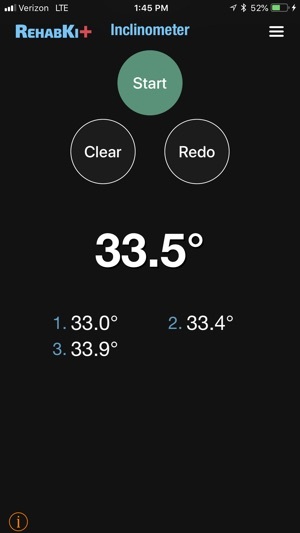 Inclinometer: Always have an inclinometer on you with RehabKit. Measure movement in the phone's sagittal plane to measure lumbar flexion/extension, shoulder abduction, etc. 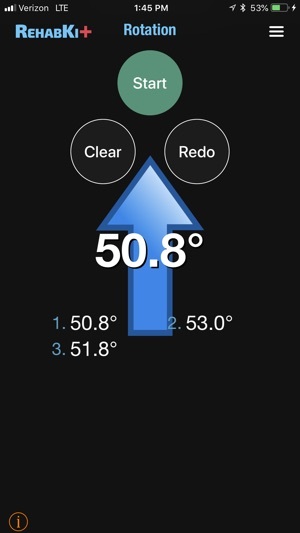 Rotation: Our Rotation feature can measure any transverse-plane movements (e.g., cervical rotation) with exceptional accuracy. 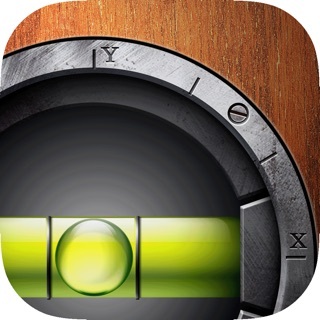 - Provide an external auditory cue with our Metronome feature. This is perfect for fine tuning cadence during gait retraining, VOR training, and keeping tempo during resistance training. - The Strength Metronome is designed to provide the tempo and rest time for any resistance exercise. You and your patient will never have to count sets or reps again. - The Neuro Metronome is designed for VOR x 1 viewing and other ocular-motor and gaze stabilization interventions. Perfect for your patients with concussion/vestibular dysfunction. - Our Averaging Calculator is a simple but effective time saver. 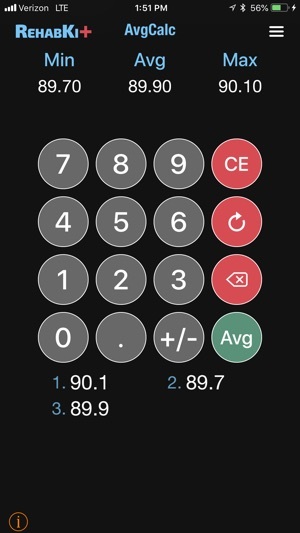 You can easily average multiple values (distance, time, repetitions, etc.) 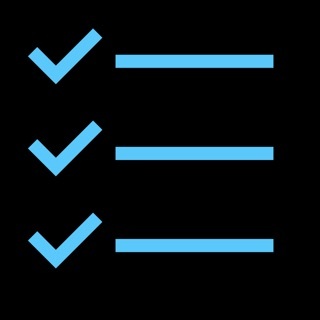 for more accurate objective data collection. 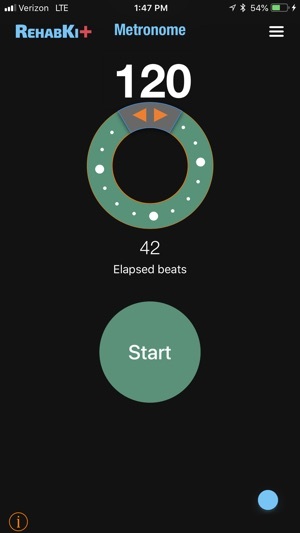 - A Heart-rate Reserve calculator. Enter the patients resting and max heart-rates, and the desired % of HRR, and the target heart-rate is computed. If the max heart-rate is unknown the tool will compute it based on the patient's age. 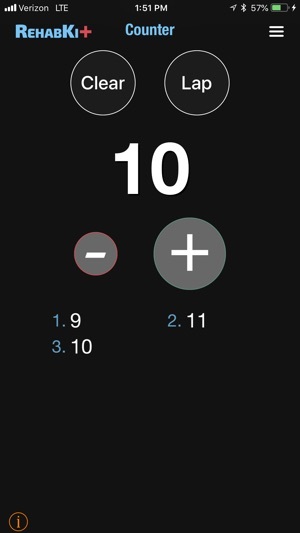 - A 1-Rep Max calculator. Counter: Make the most mundane tasks a little easier with our Counter. This is perfect for tallying up errors during testing (e.g., BESS Test) or just simply counting your patients’ repetitions. 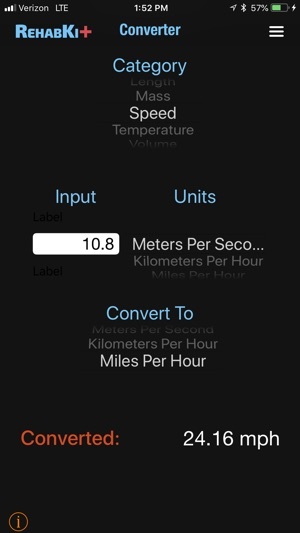 Converter: Convert essentially any unit (e.g., meters to feet and mph to m/s). This is a must-have feature unless you LOVE math. 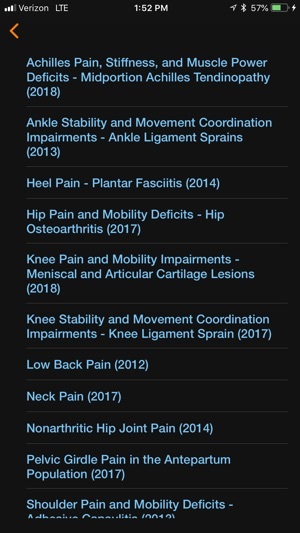 Resources: We have scoured the literature for you to provide you with the most up-to-date clinical prediction rules and the Academy of Orthopaedic Physical Therapy’s Clinical Practice Guidelines all in one place. We currently offer 4 levels of subscription services, which enables all the other utilities shown above (Stopwatch, Inclinometer, etc. ), but for different durations. Included in a subscription or purchase will be frequent updates to the Resources section, revisions/bug-fixes to the current utilities, and additional rehab-related utilities as they become available.